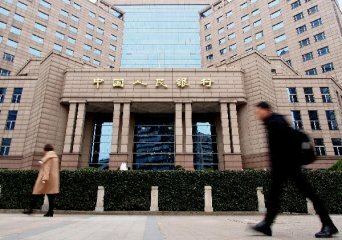 China's central bank skipped open market operations on Tuesday, citing abundant liquidity in the banking system. 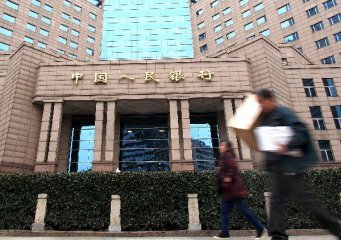 The People's Bank of China said liquidity has been at a relatively high level, and could offset factors that drain liquidity from the market. A reverse repo is a process by which the central bank purchases securities from commercial banks through bidding, with an agreement to sell them back in the future. China will keep its prudent monetary policy "neither too tight nor too loose" while maintaining market liquidity at a reasonably ample level in 2019, according to the annual Central Economic Work Conference held in December. All materials posted on this website marked with “Source: Xinhua Finance Agency” are subject to copyrights owned by the Xinhua Finance Agency (XFA). Any reproduction, retransmissions, or republication of all or part of any document found on this website is expressly prohibited, unless XFA has explicitly granted its prior written consent. All other rights reserved.Although XFA website includes "links" providing convenient direct access to other Internet sites, XFA does not endorse, approve, certify or make warranties or representations as to the accuracy of the information on these sites. All financial data and news content of this website is of a general nature, is intended as a source of general information only and is not intended to constitute a recommendation or opinion in relation to any investment decision. Opinions contained in this website represent those of XFA at the time of publication and are subject to changes.XFA will make reasonable efforts to include accurate and up to date information on XFA website, but XFA makes no warranties or representations as to its accuracy, adequacy or completeness, and shall not be liable for any direct, incidental, consequential, indirect or punitive damages arising out of access to, use of or inability to use XFA website, or any errors or omissions in the content thereof. Copyright © 2015 - Xinhua Finance Agency Ltd. All rights reserved. For best performance, please use IE version 10 or above to visit our website.